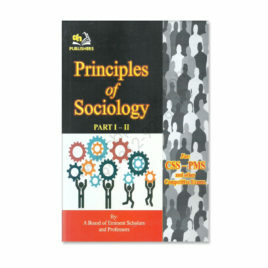 NAME Principles of Sociology Part 1 & 2 For CSS PMS AH Publisher PUBLICATION AH Publishers CONDITION new cbpbook.com offers principles of sociology part 1 & 2 for css pms ah publisher buy online with best lowest price in Pakistan with fast shipping in all major cites of Pakistan including Karachi, Rawalpindi, Sialkot, Islamabad, Gujranwala, Hyderabad, Faisalabad, Quetta, Peshawar, Multan, Larkana, Lahore, Abbotabad, Sargodha, Sukkur and many more cities in Pakistan. NAME Caravan A Comprehensive Study of General Sociology For CSS and Allied Competitive Exams By Shabbir Hussain Chaudhry AUTHOR Shabbir Hussain Chaudhry PUBLICATIONS Caravan Book House CONDITION new cbpbook.com offers general sociology for css by shabbir hussain chaudhry caravan book buy online with best lowest price in Pakistan with fast shipping in all major cites of Pakistan including Karachi, Rawalpindi, Sialkot, Islamabad, Gujranwala, Hyderabad, Faisalabad, Quetta, Peshawar, Multan, Larkana, Lahore, Abbotabad, Sargodha, Sukkur and many more cities in Pakistan. NAME Sociology For CSS PMS By Aamer Shahzad HSM Publishers AUTHOR Aamer Shahzad PUBLICATION HSM Publishers CONDITION new cbpbook.com offers sociology for css pms by aamer shahzad hsm publishers buy online with best lowest price in Pakistan with fast shipping in all major cites of Pakistan including Karachi, Rawalpindi, Sialkot, Islamabad, Gujranwala, Hyderabad, Faisalabad, Quetta, Peshawar, Multan, Larkana, Lahore, Abbotabad, Sargodha, Sukkur and many more cities in Pakistan. NAME ILMI One Liner Capsule for SOCIOLOGY (Sociology and Social Work) for PCS, PMS Essentials By Rai Mansab Ali It can be used in followings types of tests: General Ability Test CSS Screening Test Social Work Lectureship Sociology Lectureship PMS Social Work Sociology Subject Specialist Sociology B.A Examination Sociology B.S Examination Sociology educator, Sociology Teachers CSS Sociology Social Welfare Department PMS Sociology GAT Sociology M.A Sociology Examinations AUTHOR Rai Mansab Ali PUBLICATION ILMI Kitab Khana CONDITION new cbpbook.com offers ilmi one liner capsule sociology and social work by rai mansab ali buy online with best lowest price in Pakistan with fast shipping in all major cites of Pakistan including Karachi, Rawalpindi, Sialkot, Islamabad, Gujranwala, Hyderabad, Faisalabad, Quetta, Peshawar, Multan, Larkana, Lahore, Abbotabad, Sargodha, Sukkur and many more cities in Pakistan. AUTHOR Shabbir Hussain Chaudhry and Farrukh Ahmed Awan PUBLICATION Caravan Enterprises Lahore CONDITION new cbpbook.com offers international relations for css 2016 by caravan enterprises lahore buy online with best lowest price in Pakistan with fast shipping in all major cites of Pakistan including Karachi, Rawalpindi, Sialkot, Islamabad, Gujranwala, Hyderabad, Faisalabad, Quetta, Peshawar, Multan, Larkana, Lahore, Abbotabad, Sargodha, Sukkur and many more cities in Pakistan. NAME Jahangir’s World Times Publications CSS New Exam Syllabus To the Point Political Science Paper 1 and 2 for CSS, PMS, PCS and All Other Relevant Exams by Zahid Hussain Anjum and Naeem Anjum LOOK INSIDE AUTHOR Zahid Hussain Anjum and Naeem Anjum PUBLICATION Jahangir’s World Times Publications CONDITION new cbpbook.com offers to the point political science paper i and ii for css by jahangir buy online with best lowest price in Pakistan with fast shipping in all major cites of Pakistan including Karachi, Rawalpindi, Sialkot, Islamabad, Gujranwala, Hyderabad, Faisalabad, Quetta, Peshawar, Multan, Larkana, Lahore, Abbotabad, Sargodha, Sukkur and many more cities in Pakistan. NAME Caravan e Urdu (Compulsory) For CSS PMS By Ch Ahmed Najib AUTHOR Ch. 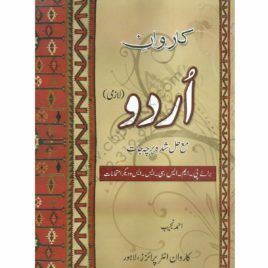 Ahmed Najib Rai Muhammad Iqbal PUBLICATION Caravan Book House CONDITION new cbpbook.com offers caravan e urdu (compulsory) for css pms by ch ahmed najib buy online with best lowest price in Pakistan with fast shipping in all major cites of Pakistan including Karachi, Rawalpindi, Sialkot, Islamabad, Gujranwala, Hyderabad, Faisalabad, Quetta, Peshawar, Multan, Larkana, Lahore, Abbotabad, Sargodha, Sukkur and many more cities in Pakistan. NAME Jahangir's WorldTimes Publications CSS New Exam Syllabus Revised and Updated Edition Top 30 Essays For CSS, PMS and all other relevant exams By Zahid Ashraf WHY THIS BOOK: Essay Writing Techniques In-depth Analysis Extremely Helpful for the Students of Competitive Exams LOOK INSIDE AUTHOR Zahid Ashraf PUBLICATION Jahangir's WorldTimes Publications CONDITION new cbpbook.com offers jahangir worldtimes top 30 essays for css pms by zahid ashraf buy online with best lowest price in Pakistan with fast shipping in all major cites of Pakistan including Karachi, Rawalpindi, Sialkot, Islamabad, Gujranwala, Hyderabad, Faisalabad, Quetta, Peshawar, Multan, Larkana, Lahore, Abbotabad, Sargodha, Sukkur and many more cities in Pakistan.